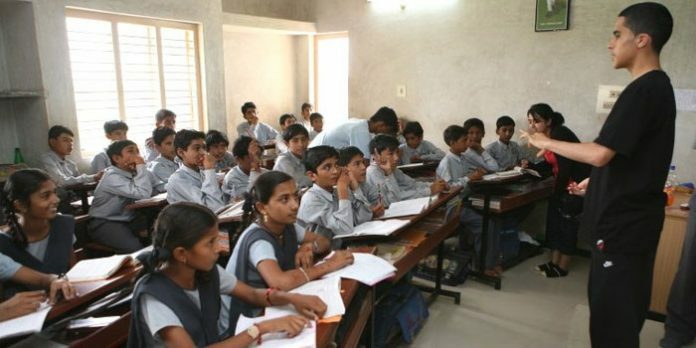 Sarva Shiksha Abhiyan and the Rashtriya Madhyamik Shiksha Abhiyan are the Indian government flagship programmes for achievement of Universalization of Elementary Education. As a part of it European union on Tuesday said, it will release 25 million euros for India’s school education sector. The amount forms parts of final tranche of a total of 80 million euros that the European Union has granted for educational schemes. The EU granted this fund with the purpose of setting up new schools, improving existing ones, bridging gender and social gaps, providing toilets especially for girls, training teachers and enrolling nearly all children in the primary school years. Tomasz Kozlowski, Ambassador of the European Union to India said, EU was the Indian Government’s first development partner in education through its participation in the 155 districts initially selected under District Primary Education Programme in 1994. At an event held in Delhi, Ajay Tirkey, Joint Secretary in the Ministry of Human Resource Development, thanked the EU for its long term commitment to education over the past 23 years.